Connie's World Adventure! 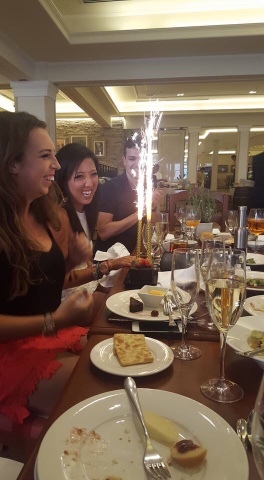 : Doha, Qatar: Birthday Celebrations in Qatar! First things first, happy birthday to my sister today! Secondly, apologies for the blog delay - my electrical converter died an instantaneous death upon leaving Nepal, which means I had no way to charge my laptop for the past couple of days (though wish you could have seen the crowd of Indian men in the Delhi airport surrounding me, all very concerned and trying to help me with my bum converter). 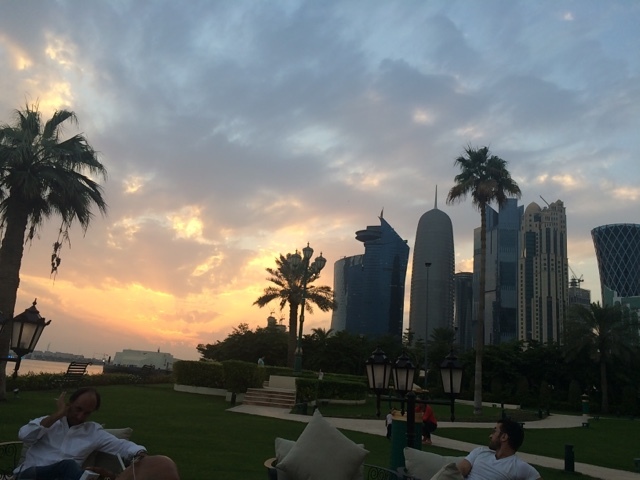 Anyhow, back on schedule now, which means trying to cram the past few days in Qatar into one giant post. I headed to Qatar from Nepal for birthday celebrations - which sounds very random, but I met up with two friends I had met earlier in my travels. Stephen and Clare are originally from the UK, but teach at a British school together in Doha, Qatar - I had met them on my trip to Myanmar in August, and loved them both (in fact, they are both in basically all my Myanmar photos if you really want to verify). Clare's birthday is the day before mine - November 18 - so she had suggested I come visit to celebrate both our birthdays together. And it worked with my schedule, so off to Qatar it is! Qatar is a tiny, tiny little country that juts out from the edge of Saudi Arabia into the ocean. 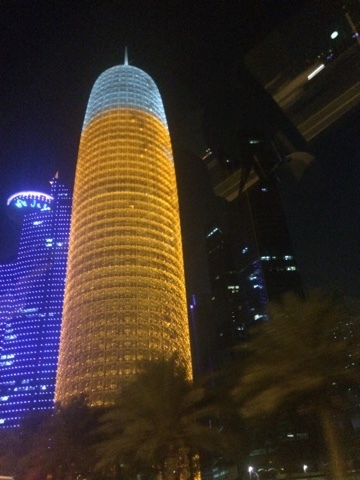 Doha is the capital, and is like a smaller, unfinished version of Dubai. 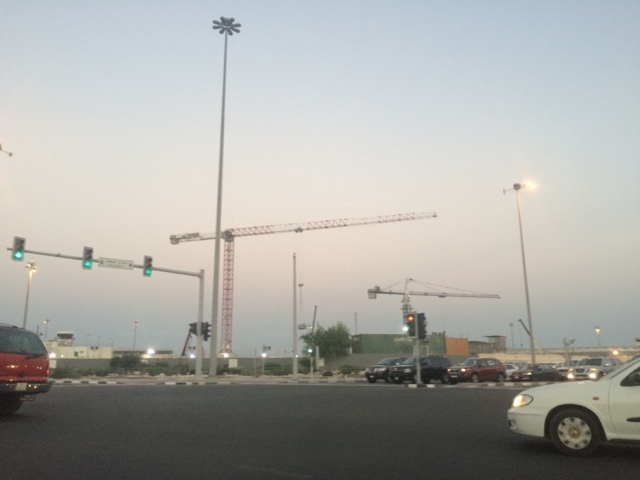 It's tiny and wealthy and all the oil money is spent constructing a million new buildings a minute. There's sandy desert parts everywhere, super-crazy-fancy gleaming new buildings (which are super new and shiny and bling-y), and the rest is under construction. Everything is under construction. Seriously. The roads, the buildings, the desert - EVERYthing. Because of this, there is a huge population of migrant workers from India/Nepal/etc. who work in Qatar - my flight over here was seriously 200 Indian men....and me. 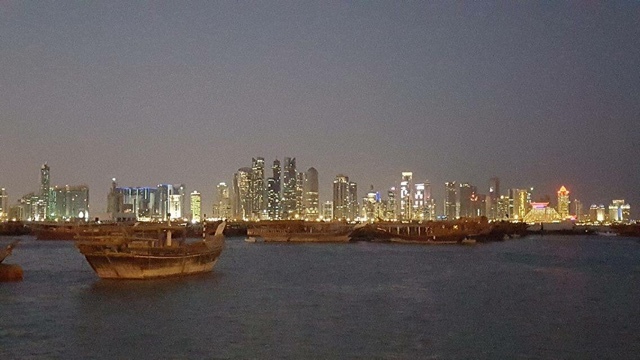 Only about 25% of the people who live in Qatar are actually Qatari - and because the government is so wealthy (and oil/gas here is DIRT CHEAP, on a side note), they actually pay the Qatari people a stipend: so a lot of the citizens are pretty wealthy as well. You see a ton of Qatari women covered up in hijab carrying Prada handbags, and there are ridic fancy cars all over the roads. The rest of the population is mainly made up of the migrant workers to help build all the crazy new construction (who are not rich, and do not drive fancy cars or carry Prada handbags). Took a million flight connections from Nepal to finally arrive in Qatar at 3AM on my birthday! 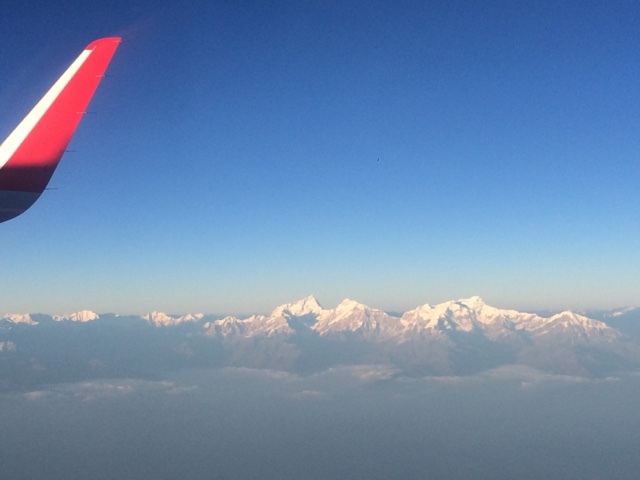 Taking off from Nepal during sunset yielded the most incredible mountain views ever. Bye, Nepal!! That evening (and all caught up on sleep), Clare, Stephen, and some of their friends had tickets to a magic show called "The Illusionists: 1903". 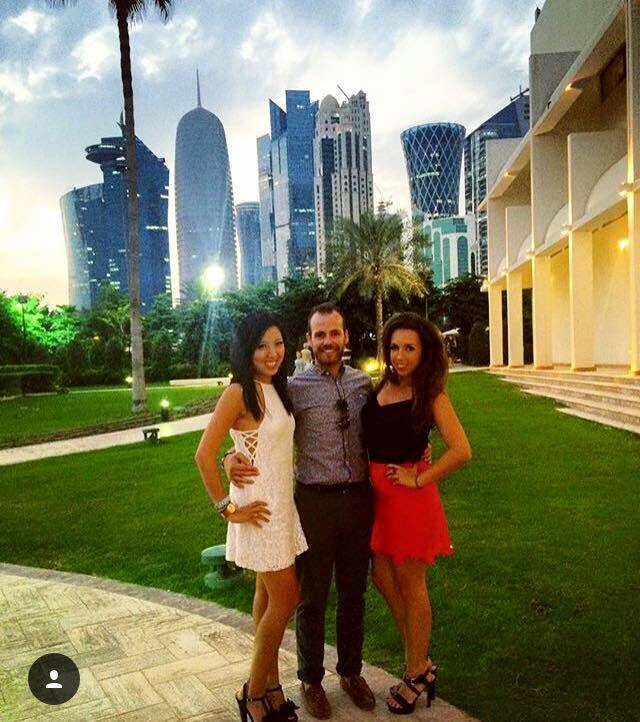 Clare joked that there isn't too much to do in Doha so when an event comes to town, they always go to them all. Anyhow, Clare and Stephen got me a ticket as part of my birthday and because they are the greatest. 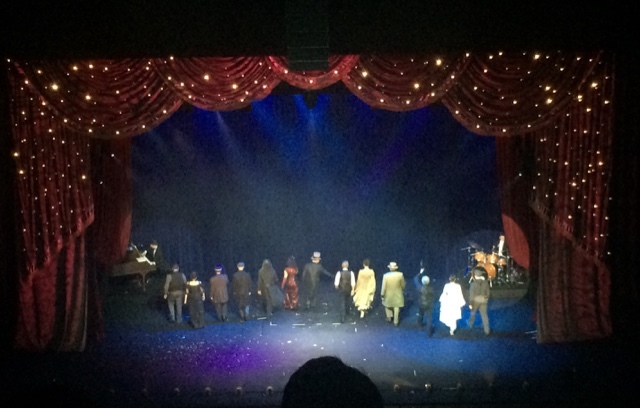 The show's premise is that it's a fancy old time-y magic show done without any of the modern snazzy devices used today - just good, old-fashioned magic and illusions done the old-school way. With lots of lights and effects, of course. There was the traditional saw-a-lady-in-half bit, making things disappear and reappear, levitating, card tricks, escaping from a water tank handcuffed and chained up, etc. And I still have zero idea how any of it is done, so MAGIC! How did I manage to get a photo of all the illusionists' backs...? The next morning, Clare had planned a dual birthday brunch for both of us (comprised of only her friends, of course). It's a big thing here - all the fancy hotels offer brunch (the huge buffet, all-you-can-eat kind), and there's unlimited alcohol. So you get dressed up, go to brunch, drink and eat all day until brunch ends, and then usually go out. 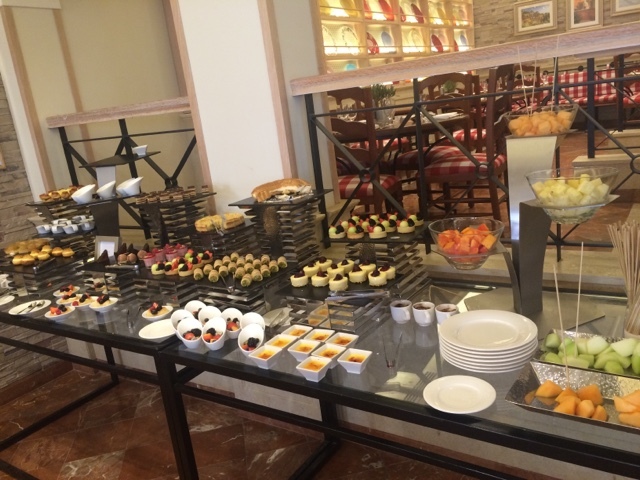 We went to the Sheraton for our birthday brunch, which was Italian and seafood themed. 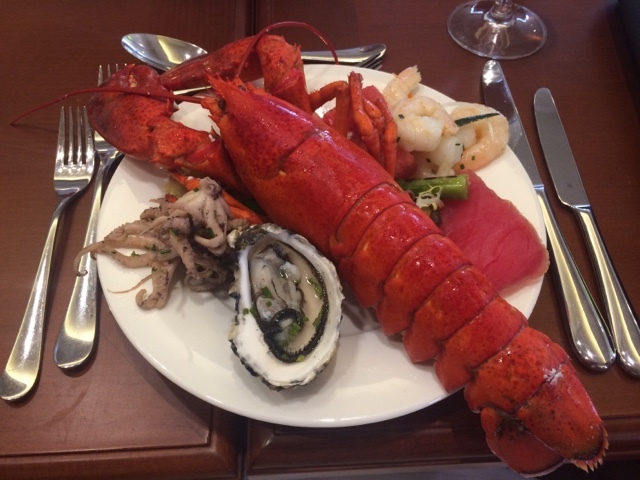 They had a tray of lobster tails, and a tray of entire lobsters - soooo why go for the tail when you can go for the entire lobster? Only after I got this gigantor lobster (only with a couple of stares) did I realize I had no clue how to de-shell it, and I was wearing a white dress. Let's just say it involved a lot of flying innard lobster bits. Stephen, Clare and I - and unlimited champagne! 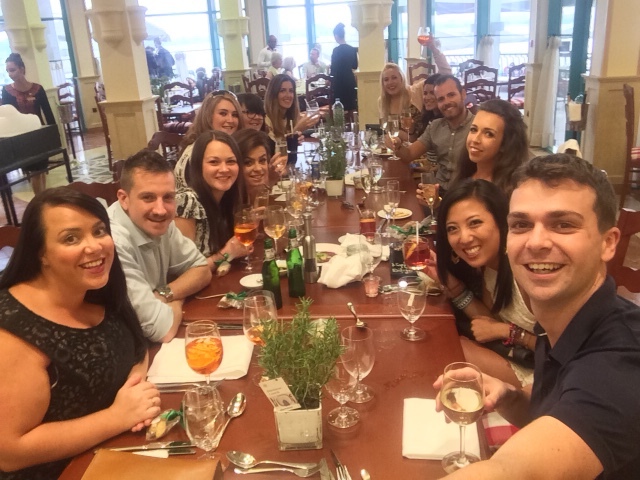 The brunch crew - Clare and Stephen are teachers at a British school in Doha, so all their friends and fellow teachers are from the UK and living the Doha life. Post-brunch, we moved out to the veranda as the sun was setting. Same photo as above, but by the harbor! Post-brunch, we stopped by an Irish pub (inside the Sheraton, which was so weird! The bars here are all in hotels since the country is Muslim). 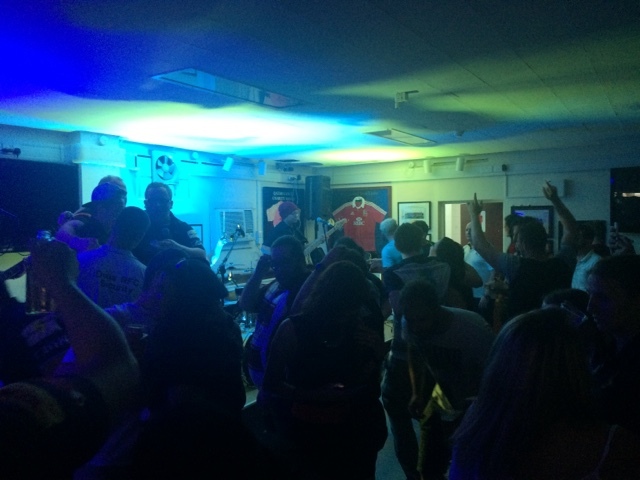 Then off to the final stop of the night called The Rugby Club - this is where the Doha Rugby team plays, and it turns into a raucous, crazy dive bar/pub/club in the evenings. 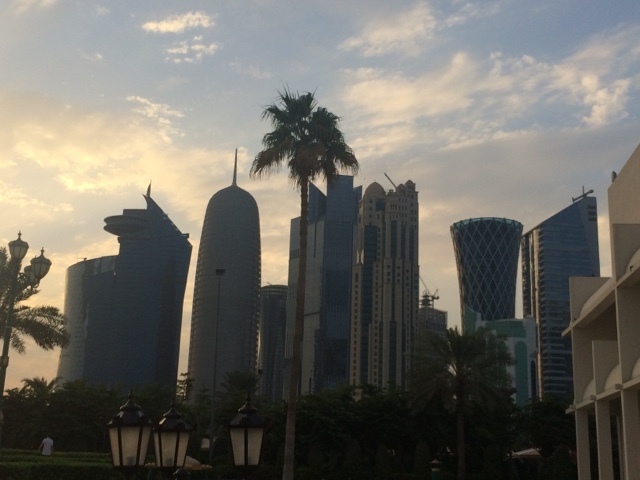 As Clare termed it, "this is where you will find all the expats of Doha in one place." 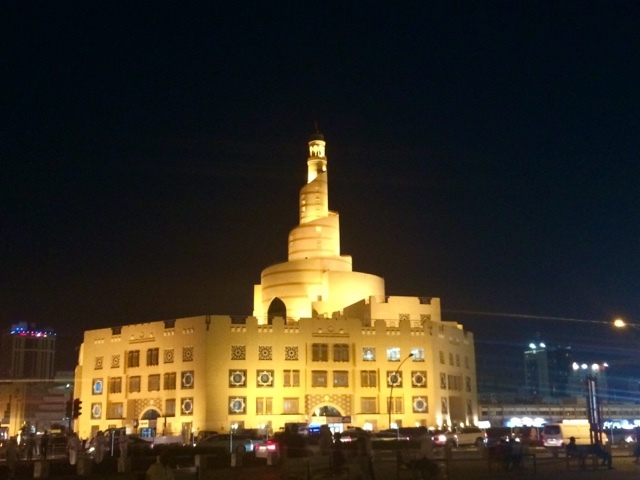 A super-interesting glimpse into a typical expat weekend in Qatar. The next morning, we headed to the pool, which is also a standard post-brunch-day activity. Lying by the pool and stuffing face with fries. Perfect. 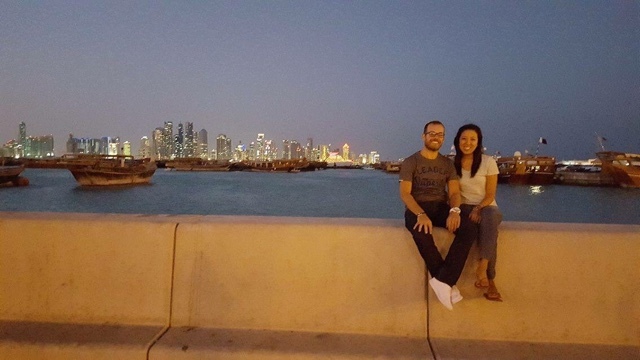 As the sun set, Stephen and Clare took me to do "something cultural", aka the Doha souq/marketplace! 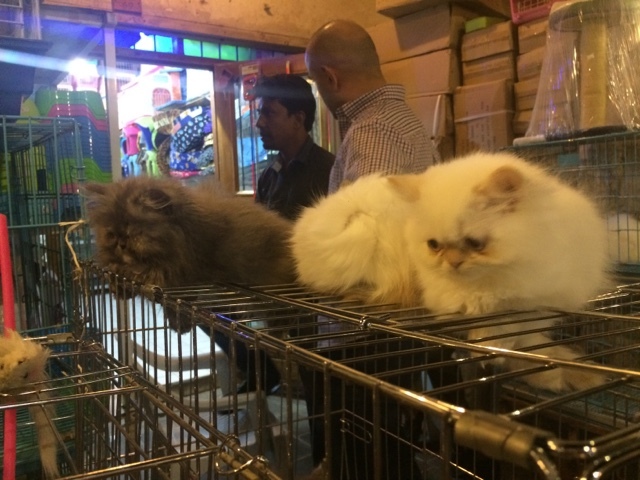 Ok, for serious people - the Souq was just like Aladdin. Like a scene out of Aladdin. Which I realize may sound ridiculous; it's like if someone went to the ocean for the first time and was like "ahhh it's just like the Little Mermaid!!" BUT IT WAS. 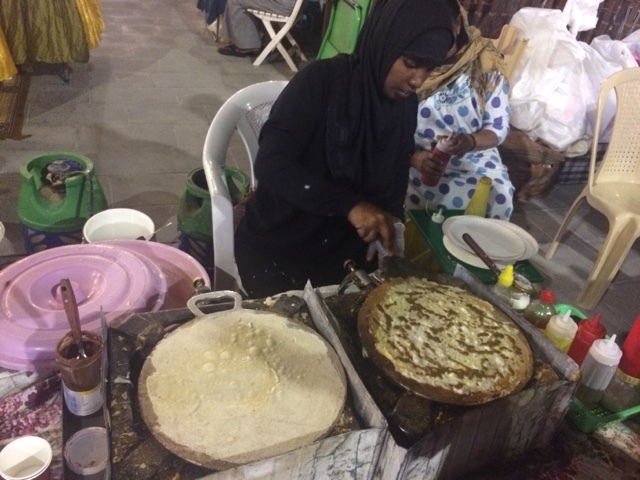 The market looked super authentic (though Stephen informed me it was a new-ish building that was built to look old), it smelled of spices, and the sections were fascinating. 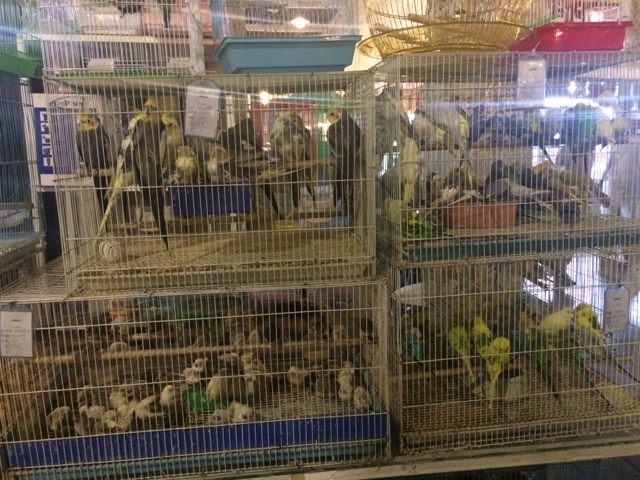 There were different sections that sold gold, spices, fabrics, animals/pets (INCLUDING CAMELS eeeeeee), handicrafts, etc. 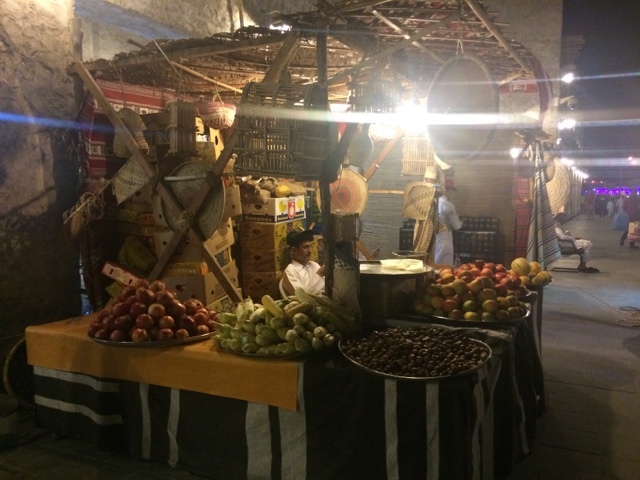 A fruit stall in The Souq. THAT LOOKS STRAIGHT OUT OF ALADDIN. 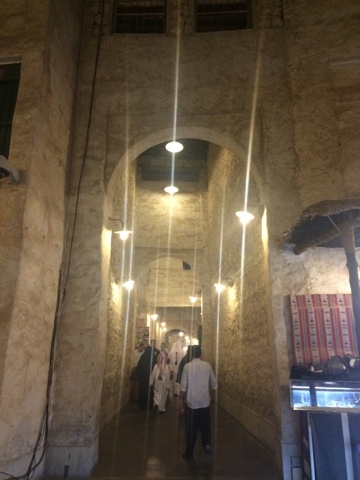 Souq hallways. Sorry all these photos are horrible. 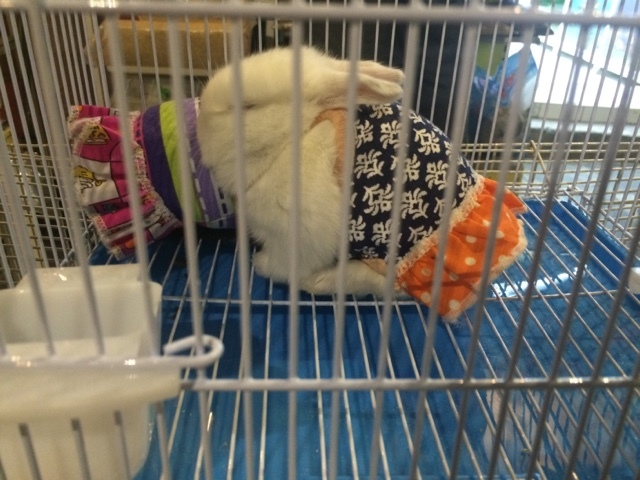 I was trying to avoid being like "OOOOH LOOK I'M A TOURIST, LET ME TAKE PHOTOS OF YOUR EVERYDAY LIFE AND YOUR CUTE LITTLE EVERYDAY OUTFITS"
And the craziest part: the pet section. For serious, this part was insane. 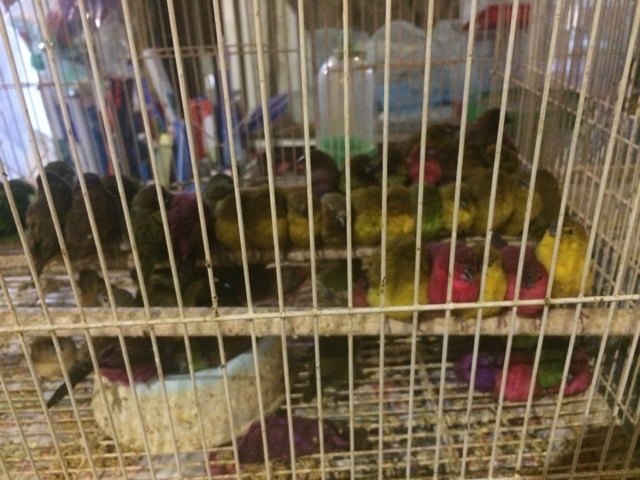 There are tons of animals just crammed into cages, and they're all super designer-looking animals for rich Qatari families to buy and display in pretty gold cages. It's a little sad, but part of life here. 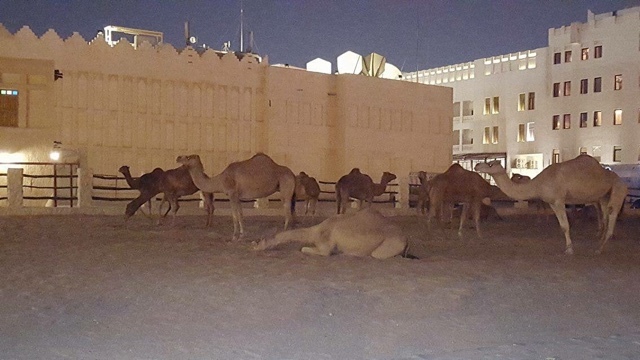 And my favorite part of The Souq - CAMEL CAMEL CAMELS. People just come and are like "oh hey, let's buy us a camel here and take it on home." 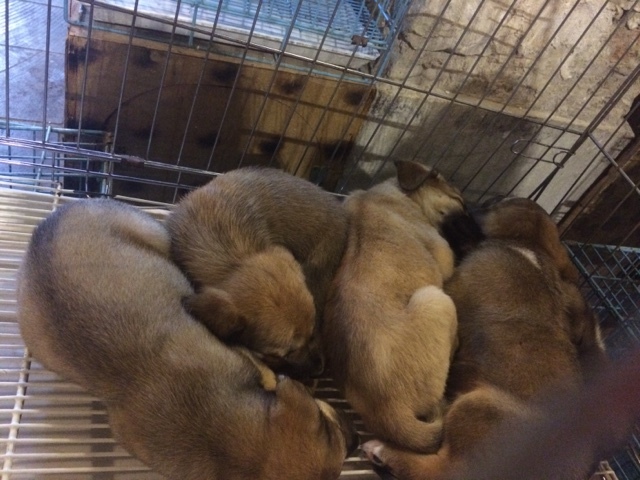 My favorite one is the super sleepy one in the middle. 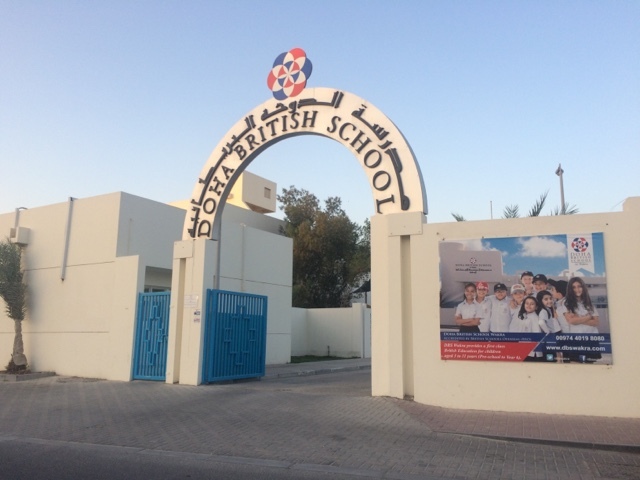 The next morning, I caught a ride to Clare's school with her to visit before my flight out of Doha. 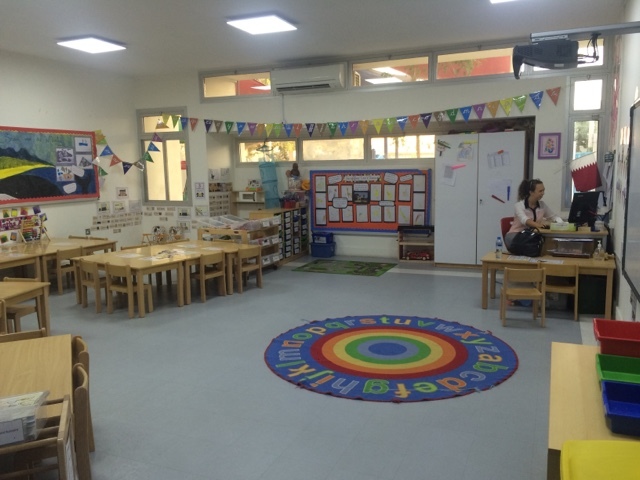 Clare and Stephen (and their friends) teach at a private primary school called the Doha British School, which uses the British curriculum. I was super excited to get to see Clare's class and some of her kids. Clare's- errr I mean, Miss Quick's - adorable kindergarten classroom. Clare is obviously studiously working before class. AND HERE ARE HER KIDS. 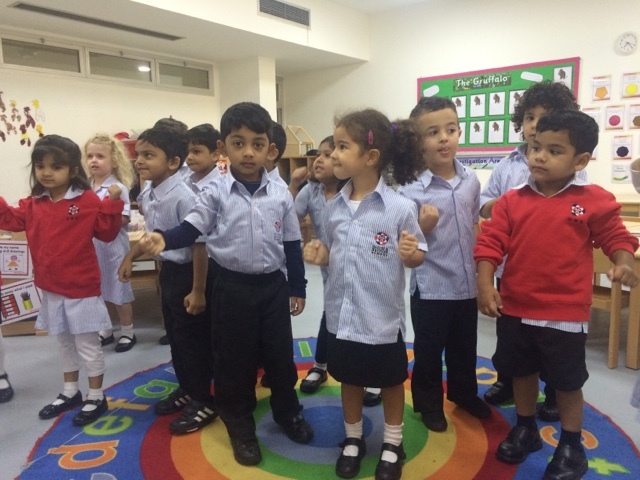 They are practicing a dance for a school performance, where each class chooses a country and performs a dance for it. And Clare's class happened to have America! So they are line-dancing. And they are the cutest. I kind of love how one of the kids is just standing there staring at me when he is supposed to be dancing. As Qatar is a Muslim country, you have to watch what you wear. 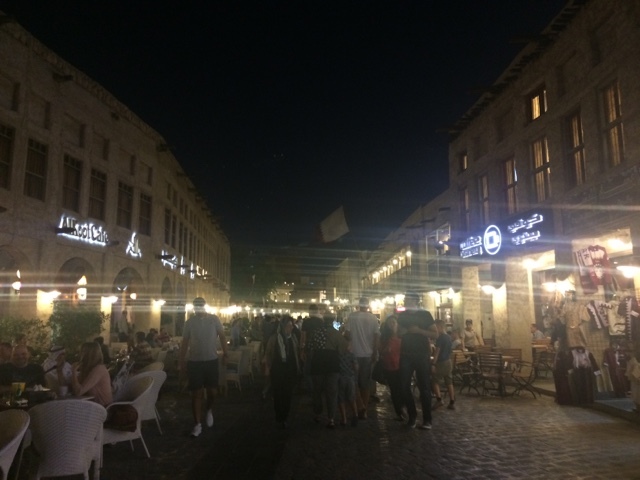 When we went to places that were predominately tourists or foreigners (i.e. the international hotels, etc. ), we could get by wearing what we wanted - especially since we got in the car straight from the apartment to the hotel. But the rest of the time, you have to have your shoulders/knees covered in public, even if you're just walking 10 minutes down the street or whatever. 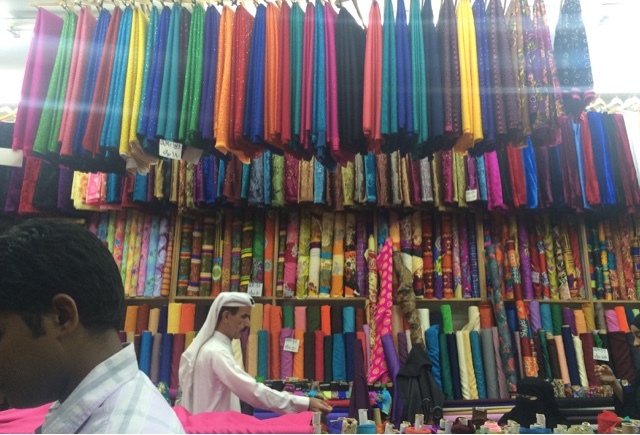 Traditional dress for Qatari men is a thoub, or a long white button-down long shirt dress with a traditional headwrap. 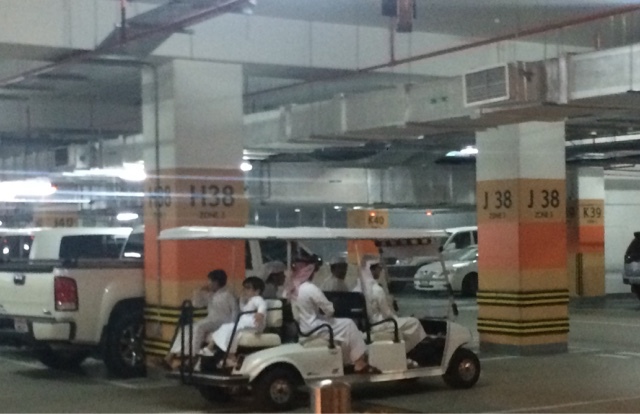 Qataris only like to drive white cars. Every car on the road is white. There are no addresses in Qatar! Seriously, no addresses. You can describe where you live to the taxi drivers by the buildings and such, but mail has to get sent to separate P.O. boxes. Apparently there are also no homeless people here. 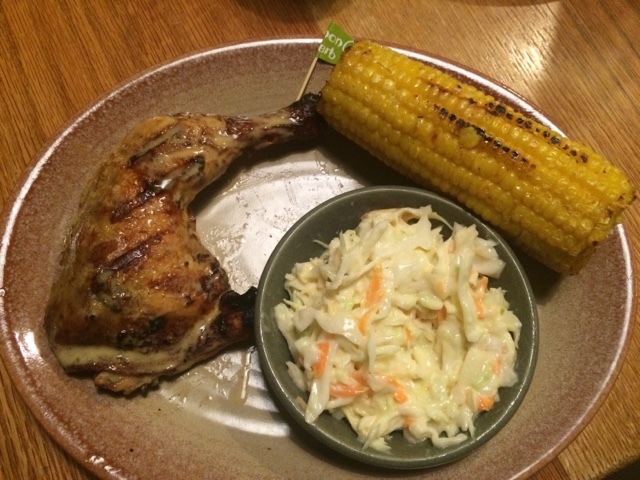 CLARE AND STEPHEN TOOK ME TO NANDO'S. 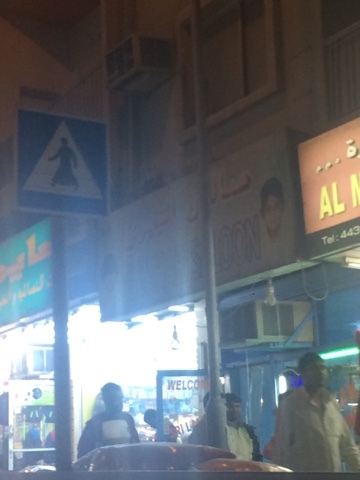 BECAUSE EVEN DOHA HAS NANDO'S. Take note, America. 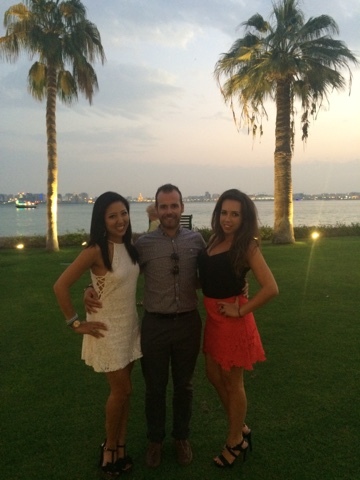 Thanks so much to Clare and Stephen for hosting me in Qatar - you guys are the best and were the most amazing hosts! I loved getting to live your fancy lives for a weekend. To Clare - thanks for including me in your birthday brunch celebrations, letting me crash in one of your 1093821 spare beds in your SUPER SWANK apartment, never providing me water, planning an excellent culture-and-fun-balanced weekend, and for letting me use every towel in your house not chained down. To Stephen - thanks for hooking me up with so many fun Qatar facts, for always providing water, having a better phone for night photos, and for single-handedly giving me diabetes from the 5 Reese's cups I had every morning. This post makes me so happy, sounds like you had the BEST bday ever!! Love it and love that you've met such awesome people. Oh and this may be a dumb question, but what does expat mean???? You keep saying it but I'm all American & er'thang. Durr! Sorry I should have explained! It's short for expatriate, which is someone who's home from their home country by choice (i.e. not military deployment or something). 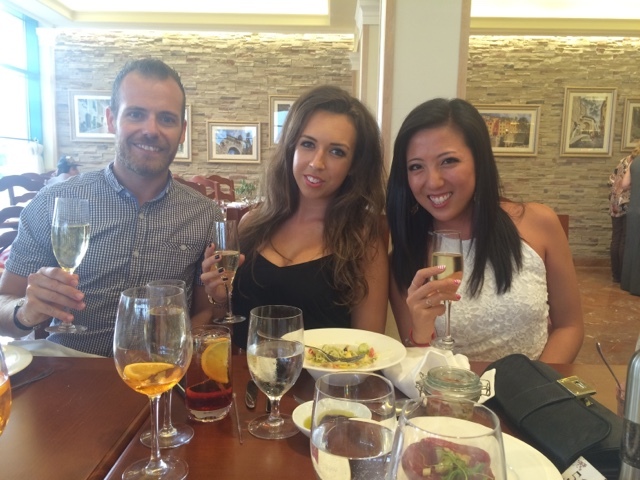 There's huge expat communities in foreign countries for people from everywhere! Turning 23 is hard, but somebody has to do it. And it's not my fault that Aladdin is a seriously relevant movie to everyday life all the time!!!!!! !